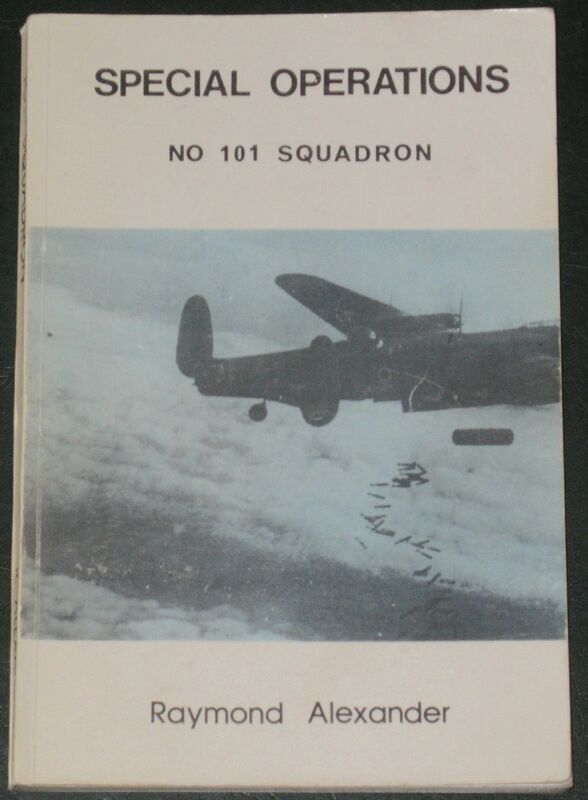 From the preface: Many Royal Air Force squadrons have been praised for the part they played during the Second World War but amongst them No 101 Squadron is seldom mentioned. This lack of publicity is due solely to the type of operations carried out by the squadron. For as well as its normal bombing functions, 101 was assigned the task of countering the enemy on the air-waves by the use of Airborne Cigar (ABC) jamming apparatus. Airborne Cigar, like many other highly ingenious radio counter measure devices was, of course, top secret, and the security screen wrapped tightly around the adventures of the squadron prevented vital information reaching the enemy. Unfortunately, the use of this screen also resulted in many people being starved of information about a squadron which played an extremely important role during the war. The condition of the book is generally ok. The cover has some minor scuffs, blemishes and creases, and light creasing and wear along the edges and corners, but the spine is intact and all pages are intact, unblemished and tightly bound.